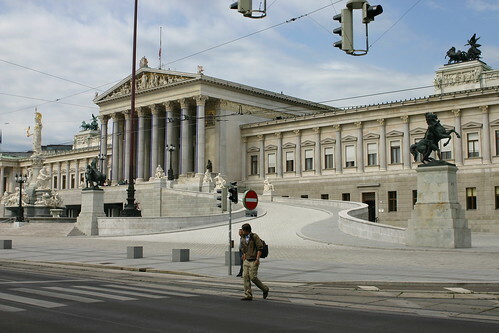 Since my last post we`ve been to Switzerland and to Austria, and now we are in Munich, Germany. We´ve been moving a bit too fast to really get a great feel let alone blog of any city but its been a lot of fun nonetheless. Switzerland has definitly been the most beautiful so far, nature wise. The Alps are all beautiful and the houses are all throughout the hills and its just quite a scene to see all the houses. Life seems more simpler there. People are gardening everywhere and seem so laid back and relaxed. Everything is double the price there though. $11.00 for a Big Mac meal. We didn´t spend that much time in any big cities there, but we took trains to small cities, since we have a Euro Pass. 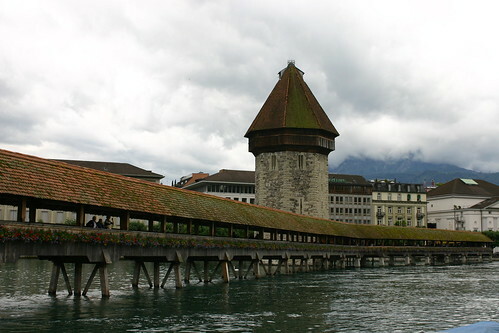 I posted some pictures below of a place called Lucern and a river flows right through the city with all these beautiful bridges that go over top of it. 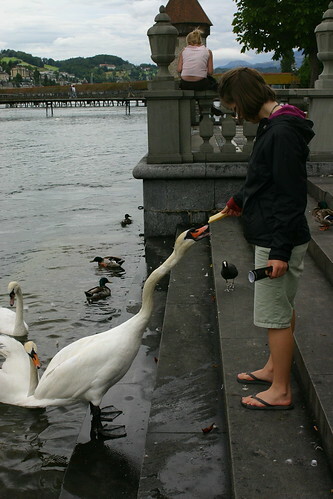 The one picture is of Rachel because she wanted to give the swan the rest of our Swiss Cheese. 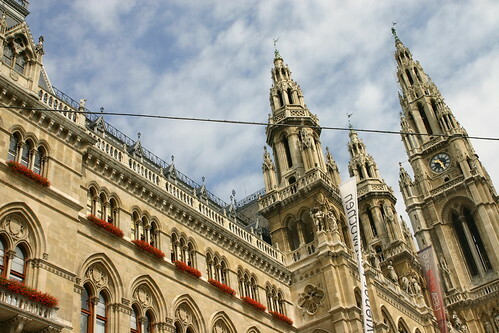 In Austria we went to Wien, or in English we call is Vienna. This has been the most spectacular city yet. Everywhere you walk there is massive (I MEAN HUGE) castles everywhere and statues. You feel like you are walking somewhere that is all 1000 years old and if you ignore the cars you really can bring yourself back. 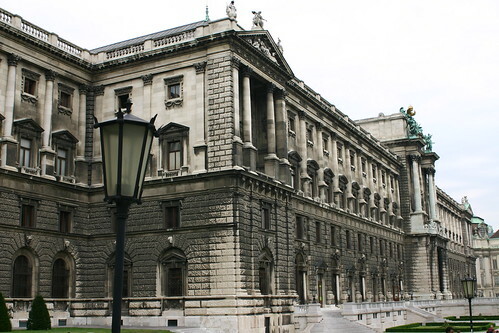 It started making me wonder why the heck no one lives in beautiful buildings like these anymore. I guess probably because if our presidents started building castles and statues of themselves then us being a democratic state and all would get upset. However, I´m glad they did then, because its absolutly glorious. I love how we have now been to the same places. Switzerland is fanfriggintastic. Right now I am on joe reids black berry writting from cleavland. Internet on my waiste is amazing…… I need a black berry…… No you don’t understand it….. I need it more than food.